For some reason, I tend to instantly like those books that revolve around a group of women. 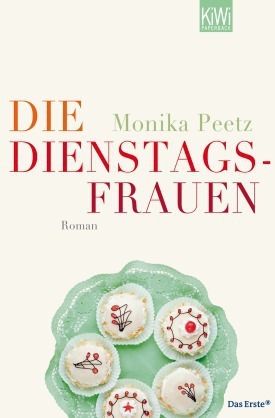 This is exactly the case with Monika Peetz’s book „The Tuesday Ladies” (the book doesn’t have an English translation so far, so the final title may vary): it’s nothing out of the ordinary or something I haven’t read or seen a hundred times before, but it still is captivating. And, oh so funny! If you’ve never thought that German authors know the meaning of the word „funny”, this light reading will change your perception. At the center of the book lies the friendship between five women that couldn’t be more different. 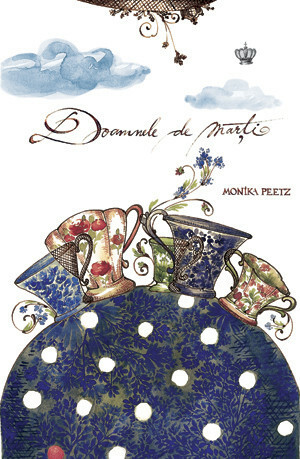 Caroline, the pragmatic lawyer, consistent and determined; Kiki, the free spirit, always in love; Eva, a housewife and, basically, a slave for her family of four; Estelle, the prototype of the modern woman, married with a chemist and accustomed with having all of her wishes and cravings fulfilled; Judith, the drama queen, who prefers to talk about her problems instead of facing them. It was a French class that brought them together, 15 years ago. Now, the only French thing about them is their usual meeting place: Le Jardin Restaurant. Same table, next to the fireplace, same day for the past 15 years – first Tuesday of each month. But one Tuesday, the inevitable occurred – the reserved table remained unoccupied. Judith’s second husband died, leaving her in a mess (remember, Judith is the drama queen here). She decides to go on a pilgrimage, following in the footsteps of her late husband, although she couldn’t be less prepared for such an enterprise. Not that her friends are more prepared… Still, that doesn’t stop the Tuesday Ladies from joining Judith. Five women on a journey of deprivation? #hilarityensues. This book is followed by two more novels, featuring the same characters, and although the second one was slightly less funny than the first, I can’t wait to read more about the adventures of the Tuesday Ladies. As I am sure you would too, if you gave this book a chance. I was looking for this series of books in English…. to no avail. But the author is Norwegian — not German…. that’s why they are charming and funny !!! !